Is there no one who can assist/guide me? dirSearcher.Filter = "(employeeID = " & Me.fp.BadgeNo & ")"
'The PropertiesToLoad.Add method will be useful when retrieving only the selected properties. 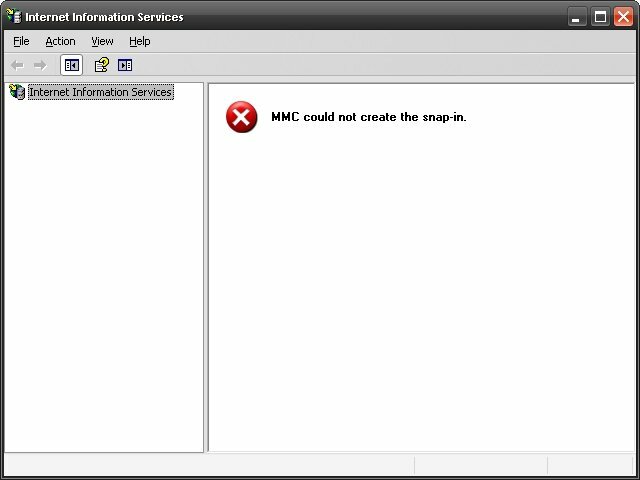 After running the script, I am getting the following error: "[I]An operations error occurred[/I]" and the error always points to: "[I]sr = dirSearcher.FindOne()[/I]"
Just for those viewing, I figured it out...the snap-in was manually installed via the command prompt so this problem was fixed. Not Solved...but I am closing this thread! wow...no one has ever gotten this problem?!? I did follow through your suggestion for configuring IIS using the [URL="
Could anyone guide me accordingly? I changed this part of the project from Java to PHP (which is a lot more convenient). Re: Can I specify who can access certain links on a web page? If I am not mistaken, some of these problems we got before (earlier on in this thread), because that was the reason behind the change of the billDate data-type etc. why did you use the ob_start()? and why didn't you use the ob_end_flush()?